If you love small town living with access to excellent schools, churches, and health care facililties, the Town of Amherst is a great place to live, work and play. Our community offers many opportunities to be connected with activities, organizations and friendly residents who will make you feel "at home. Download our community profile booklet to find out more about what it's like to live in Amherst. We're not the only ones who think Amherst is a great place to live. Moneysense Magazine rated Amherst as the best small town in Nova Scotia in their 2017 ranking of the best places to live in Canada. Our affordable housing, great health care, and vibrant arts and recreation culture are some of our outstanding features. Nova Scotia Community College (NSCC) offers a wide range of post-secondary programs from the Cumberland campus in Springhill and the Amherst Learning Centre. Programs are delivered in full-time, part-time, and continuing education formats. 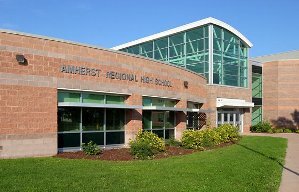 Amherst Regional High School is an 800-student secondary school that was built in 2000, with a 493-seat theatre and a high school regulation gymnasium. The school delivers classes from grade 9 to 12 as well as the Career Exploration Program (CEP) and hosts the largest allocation of Nova Scotia International Student Program students in Nova Scotia. E.B. Chandler Junior High School is a grade 7-8 school with 320 students who enjoy a wide range of positive experiences. The school has an award-winning music program (both band and choir), an art program, programs for students with special needs, and integrated French and French Immersion programs. Many clubs and activities are available thanks to staff and community volunteers. 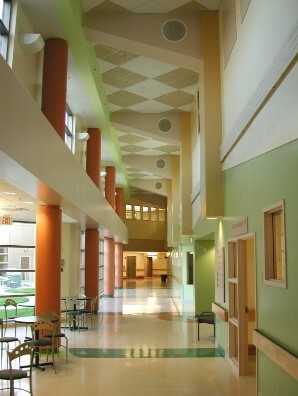 Spring Street Academy was built in 2005 and has 450 students in grades primary to six. Cumberland North Academy, also built in 2005, has 350 students in grades primary to six. West Highlands Elementary School, built in 2015, features a music room, visual arts room, Early Years Centre, SchoolsPlus area and sports field. The Cumberland Regional Health Care Centre provides 24-hour emergency room care, diagnostic imaging, cancer care, surgeries, obstetrics and gynecology services for residents of Amherst and region. The Community Health Board is a committed group of volunteers who support the work of the Nova Scotia Health Authority (NSHA) by advising on local perspectives, trends, issues, and priorities. The CHB administers wellness fund grants to non-profit groups working to improve health in their communities through projects that support the health priorities identified by the CHB's community health plan. Victorian Order of Nurses is a not-for-profit home and community care organization that offers more than 75 home care, personal support, and community services. Staff and volunteers provide personal assistance and support needed to make clients comfortable in their own homes.